Sun Hat for Merriment Mini Fairy Gardening. 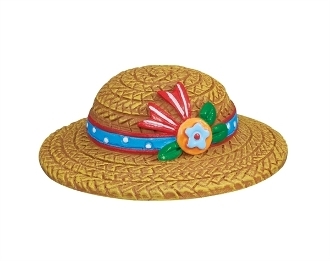 Full Description: This cute little hat is the perfect accent piece for a mini veggie or flower garden. Designed by Mary Engelbreit, this hat is made of resin and features hand-painted details with all-weather paint.